The Trust + Safety Group is a strategic consultancy led by digital policy experts Annie Mullins OBE and Rebecca Newton, working with an extensive partner network. With 25+ years of international experience each working for digital brands including AOL, Mind Candy, Yahoo!, Vodafone, Virgin Mobile, ASKfm and SuperAwesome, we help organisations to manage ethical and reputational issues online and keep users safe and secure across the world. Annie has held senior positions at Yahoo! and Vodafone, where she led the company’s Global Content Standards and user protection programme, including founding and producing Vodafone’s Digital Parenting website and magazine. Recently, Annie has provided strategic expertise to ASK.fm at a time of reputational crisis and helped to re-build its reputation as a leading brand for user safety after its acquisition by ASK.com. Annie has led and worked extensively on industry self-regulation in both the UK and EU since 2000, including producing ‘Good Practice Standards for the Digital Industry’. She was awarded the ISPA UK Internet Hero Award in 2007 and the UK public honour, Order of the British Empire (OBE), in 2009 for services to children and young people for this leading and innovative work. 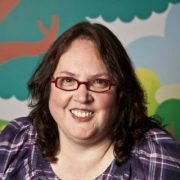 Annie sits on the Expert Advisory Panel on Children’s Viewing for the British Board of Film Classification (BBFC) and is a founding member of the digital industry’s ICT Coalition for Children Online in Europe and a board member of the UK Council for Child Internet Safety (UKCCIS). Rebecca Newton is a pioneer in online community and safety, having worked in the industry for over 20 years. She began her career at AOL (US) in the early 1990s and later served as Global Community Director at Sulake Oy. As Chief Community & Safety Officer at Mind Candy Ltd., Rebecca was responsible for developing, implementing and managing public policy, community, customer services, data protection, moderation and safety efforts across a diverse range of services for digital youth, including Habbo Hotels in 24 countries and Moshimonsters.com, which boasts over 100 million registered users. Rebecca is currently the Chief Innovation Officer at Carolina Partners and the Head of Trust & Community at SuperAwesome.tv. She has served on various UKCCIS social media working groups and is an appointee to the All Party Parliamentary Group on Young People and Technology (UK). In 2016, Rebecca was appointed to the NSPCC Digital Task Force and also joined the board of trustees at Ditch The Label (UK). 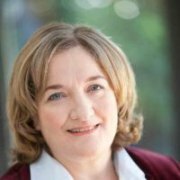 Rebecca also serves on the advisory board at AgeCheq.com.